Cook green beans in microwave according to box directions. 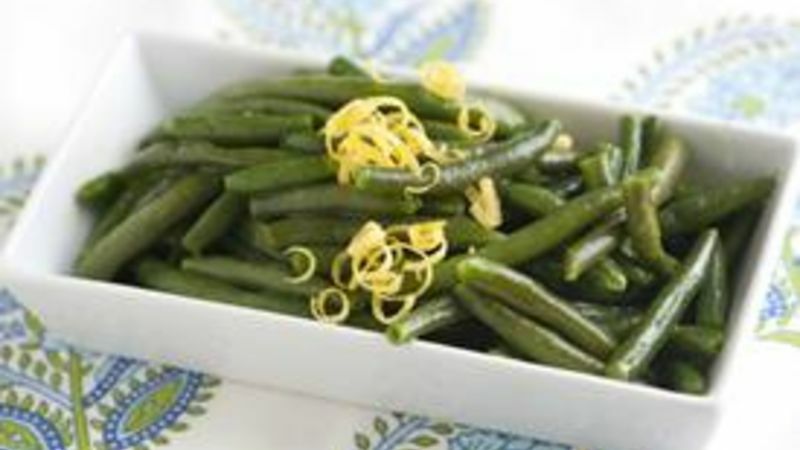 While the green beans cook, whisk together the lemon juice, mustard, honey and olive oil. Add a pinch of salt and pepper then toss with hot green beans. Garnish with lemon zest on top.